"Well if I would have known it was going to work this good, I would have done it a long time ago." Trying to implement cloud email, phone, fax and file sharing. What do I do about my phones? What do I do about my shared data? What do I do about maintaining a consistent experience for my customers? How do I make it possible for agents to answer calls no matter where they are? 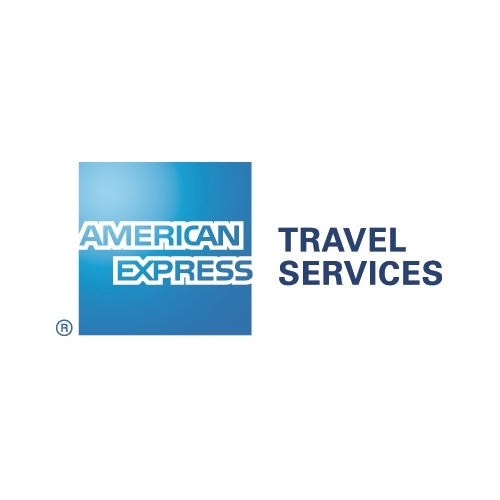 AX Travel had a reliable Windows Server in their corporate office which provided Exchange email services, file sharing and fax services, however, the remote agents ability to work was predicated on their being able to access that server. If there was a local power or internet issue, all the agents lost contact with their customer base. Also, the system relied heavily on the agents connecting with a corporate VPN which had its own challenges when agents traveled. Enter Fluid Networks, with our managed phone and data system offerings. We worked with Mr. Redman to migrate his Exchange services over to Microsoft Office 365, thereby eliminating the corporate office as the hub of email communications. We moved AX’s phone system over to a Covad/Megapath hosted VOIP system which allows agents to participate in a single, unified phone system no matter where they are. For faxing, we migrated all fax services over to our own Fluid Fax system - a hosted fax application that does not require any installed hardware. Mr. Redman's agents can easily fax any document as simply as printing or emailing it... from anywhere there’s an internet connection. They now use Microsoft's SkyDrive technology to share important documents using Office 365's integrated Word, Excel and Powerpoint browser-based editors so they no longer need to separately purchase Office for every new agent they hire. Overall, they are virtually 100% cloud-based and their travel agents are able to work easily without requiring VPN connectivity to any critical communications system. From virtually any computer, they can perform their duties, thus allowing maximum flexibility and productivity. Fluid Networks has changed everything and AX Corporate Travel Center gained much more than they expected. SurePath Financial Solutions with offices throughout California operates as a non-profit entity to provide credit counseling, foreclosure prevention, and debt management to nearly 12,000 individuals struggling with debt and housing concerns each year. The organization owned sophisticated technology managed by a small staff lacking the specific expertise to manage the agency’s critical network needs. Phone and Internet services were expensive and unreliable. Carrier representatives were difficult to work with – customer service was poor. The phone system was exceedingly sophisticated, overpriced and underutilized. The current Data Backup and Protection solution was outdated and inconsistent, placing SurePath at great risk to lose data permanently. Data Restorations were time consuming, putting a major strain on the limited IT staff. Disaster Recovery, as required by partner organizations, was all but missing. Fluid Networks began by gathering invoices to identify usage patterns and telecom expenditures. The primary goal was to correct unnecessary or wasteful spending before replacements would be considered. It was determined some services were no longer being utilized, while others were found to be out of order and not working, yet each still generated ongoing costs to the organization. 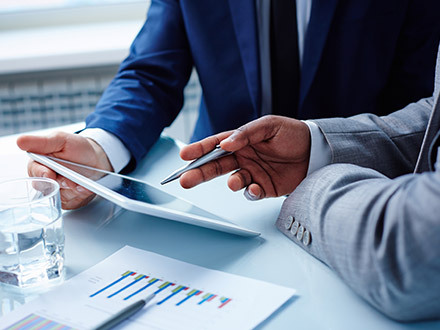 With SurePath’s authorization, Fluid Networks worked directly with the incumbent phone and internet providers to disconnect unused and non-working services and uncover credits due. Once wasteful spending was eliminated, an accurate Return on Investment (ROI) Analysis comparing alternative service providers could be performed. After careful review, it was decided replacing the existing ISP and Telecom providers would bring with it both a monthly savings AND increased reliability. A project was planned to move SurePath from its current Wide Area Network (WAN) environment and PRI phone lines. New services were installed at 3 locations to run side-by-side the existing ones. Only after careful testing and verification did Fluid Networks swing SurePath over to the less expensive, better-fitting technology. Down-time was kept at a minimum with all disruption occurring after hours. The next task was to evaluate each of the systems in place at SurePath. Risk of data loss was deemed the greatest concern. Fluid Networks measured their current backup solution for performance, reliability, and price. We discovered SurePath was utilizing DLT tapes with an autoloader to run weekly and nightly backups. Tapes had to be manually changed out each week and taken off site to be stored in safe deposit box. The average replication fail rate was 14%. Fluid Networks recommended replacing the antiquated tape backup with their BDR “Magic Box” solution. Fluid’s Backup and Recovery Application streamlined and enhanced the replication performed at SurePath. While it brought with it higher costs, at least from a Capital Expenditure perspective, it finally enabled SurePath to meet the Disaster Preparedness required by the industry. Next, SurePath requested Fluid Networks evaluate their current phone system for replacement. The Interactive Intelligence SurePath was using featured heavy ongoing costs to support and maintain. It was determined the Total Cost of Ownership (TCO) purchasing a new phone system, a ShoreTel Unified Communications Platform, was less expensive than simply maintaining their Interactive Intelligence. Subsequently, a project was planned to remove the Interactive Intelligence to implement ShoreTel in its place. With each critical system measured, modified, or replaced, SurePath then brought Fluid Network’s attention to ongoing support. SurePath was operating with a reduced Technical Staff already, yet the technology remaining in place demanded more resources. Hiring additional staff seemed necessary. Fluid Networks presented an alternative – Managed Services. By hiring Fluid Networks’ Virtual IT Department SurePath could flip the script on their IT budget. Instead of hiring extra personnel, a 75% staff reduction was possible. Instead of incurring further employee costs, IT spending could become a tax deductible business expense. Ultimately, SurePath elected to move to Managed Services where Fluid Networks would monitor, manage, and maintain every part of the network and phone system. Single accountability for everything phone and computer! Phone and Internet costs reduced by 79%. Before implementing Fluid Networks’ recommended changes, SurePath averaged $6,673 per month in carrier charges. After new services installed costs dropped to an average of $1,425 per month. Converting from an in-house IT strategy to Fluid Networks’ Virtual IT Managed Services cut costs 71% from an average of $9,707 to $2,817 per month. Replacing phone systems, moving to ShoreTel brought with it massive savings, with Total Cost of ownership dropping from $90k over a five-year period to just under $17,000 – an 81% savings! All said and done, systems were improved, support was enhanced, and ongoing savings increased. Over the next 5 years SurePath expects to save more than $780,000! “When I decided to outsource a self-inflicted WAN and Telephone nightmare to Fluid Networks, I simply wanted a ‘single point of blame.’ What I got instead was a single point of success that has become a respected and trusted member of my team. Fluid works side-by-side with my staff when needed, as needed, and with the care and responsibility I expect." A complete communications technology overhaul. Tri-Counties Regional Center (TCRC), with roughly 300 staff members across 6 locations in San Luis Obispo, Santa Barbara, and Ventura counties, serves almost 12,000 individuals with developmental disabilities. TCRC faced myriad challenges with communication technologies. The Regional Center had standalone phone systems in each of its locations, and support from multiple providers. Managing monthly costs was a major undertaking. TCRC's WAN required major overhaul, there was very primitive content management and network monitoring in place. The main locations lacked resiliency. TCRC required a technology partner with expertise across multiple communication disciplines – it had to partner with a firm who could measure and articulate the strengths, weaknesses and requirements of each communication element relative to each other. TCRC needed Fluid Networks. TCRC first approached Fluid Networks with the desire to move to a unified phone system for all office locations. TCRC wanted the ability to function as a single enterprise regardless of site, phone costs it could budget and forecast each month, and single source accountability from its vendor. TCRC did not want to be locked into any specific phone system through the purchase of proprietary hardware. TCRC wanted to maintain the ability to change platforms without having to buy all new equipment if their needs changed, prices improved, or new features became available elsewhere. Fluid Networks recommended a Hosted Phone System featuring Cisco Phones compatible with a large number of different platforms to meet their needs. The solution brought with it flat, predictable costs. The phone system could be supported completely by Fluid Networks’ dedicated staff of engineers and service representatives – any Add, Move, or Change could be performed by Fluid Networks directly lifting the burden away from TCRC staff. Before any move to IP technology was possible, a network assessment was required. Fluid Networks analyzed TCRC’s LAN/WAN Infrastructures and determined hardware upgrades and bandwidth improvements were required in order to ensure proper Quality of Service (QoS). Fluid also uncovered their Santa Barbara main site as a central, single point of failure, since all other locations relied on the technology housed there. A simple power outage there would shut down work at all other locations. Fluid Networks made recommendations to upgrade the networks with Voice compatible Routers and Manageable switches with in-line power so IP phones could be powered and protected centrally. Fluid Networks also proposed the implementation of a Tier 1 Provider, Qwest, as the primary internet service with Turn Wireless as back-up in their two most critical locations – Oxnard and Santa Barbara. Fluid also suggested moving the technology housed in Santa Barbara to a Co-Location, Hardened Facility. Not only would data be more secure and safe, TCRC would also benefit from increased visibility of their network. From the Co-lo, TCRC could see their entire network inter-connected, each location to the other and to the internet. An effective Content Management Solution could now be delivered, where each user’s internet demand could be funneled to a protected facility where content could be centrally managed by one device. The design saved thousands of dollars in hardware cost and increased employee productivity. A VoIP Project was planned and through careful, thought-out steps Fluid Networks moved to implement the hosted phone system for all six sites. First, the Router and Switch upgrades, and then new bandwidth at each site, followed by the laying out of all phones and initial system activation. Just prior to going “Live”, end-user training was provided everywhere. You could have the best phone system in the world, yet if it is installed poorly or you’re not trained on it correctly, you will get less out of it than an inferior system installed and trained on properly. With the new hosted phone system in production, users could now intercom each other from one site to the other. Productivity improved through enhanced features such as Find-me/Follow-me call routing, Unified Messaging and Caller-ID. Callers could now reach their party anywhere, voice mail messages could be shared with anyone, and collaboration was made easy. Monthly costs could be forecasted and budgeted-for properly. Internet was faster everywhere, and load-balancing and fail-over was now in place at their two most critical sites in Santa Barbara and Oxnard. After all implementations Fluid Networks stayed in close contact for Support. Fluid continued to maintain all routers and switches, monitor each connection, and provide virtually unlimited Add/Move/Changes on their phone system and network. This ongoing support meant TCRC did not have to hire another high-end engineer. Since the original VoIP installation, TCRC has had Fluid Networks migrate their organization through two further VoIP implementations. In each instance, TCRC wanted to make the switch to lower monthly costs and gain new features. With Fluid Networks at their side, TCRC had their cake and ate it, too – it gained all the benefits of the new systems without suffering the pain and disruption typically associated with making these moves. "The most critical first step was to improve security and increase speeds. After installing properly configured firewalls, Picture Head was able to exceed the requirements and improve productivity with the implementation of high speed network switches." The primary challenges facing Picture Head were their needs for an extremely high speed, reliable and secure means to communicate and transfer data between multiple offices throughout Southern California. Their network infrastructure was ill conceived at best, making communication between multiple sites slow and unreliable. Core servers were outdated and unpredictable. Consistent downtime and outages were severely impacting productivity and the bottom line. Phone system lacks central control and universal dialing. Legacy systems are expensive to operate and are not very flexible. The current data backup and protection solution was outdated and inconsistent placing Picture Head at great risk to lose data permanently. Data restorations were time consuming and tapes were expensive. Fluid Networks began by auditing the network infrastructure with the primary goal of getting a full understanding of their current situation to prepare a plan of action to help transition to a network that would meet the requirements of their industry. The most critical first step was to improve security and increase speeds. After installing properly configured firewalls, Picture Head was able to exceed the requirements and improve productivity with the implementation of high speed network switches. When Picture Head purchased an audio company in 2013,they expanded to four sites and came to Fluid Networks to assist in the design and installation new network infrastructure to ensure secure, high speed connectivity between all sites. During the planning phase, it was determined that Picture Head needed more bandwidth to achieve the level of throughput needed to accommodate the access to and data transferring across multiple locations. The next task was to plan, manage and executed a seamless migration to a 10GB Fiber wireless WAN. Fluid implemented a multi-site virtual server Active Directory environment and Storage Area Network to accommodate their large data storage and replication needs. A Fluid Voice over IP phone system was deployed in two locations and phones can be moved from one site to another, as needed, in order to facilitate fast, fluid, business demands. The final critical system to measure was Picture Head’s Backup and Disaster Recovery. The risk of data loss deemed to be of great concern. Fluid Networks analyzed their current backup solutions for performance, reliability and price. Tapes and ad-hoc backups were determined to be unreliable, time consuming and expensive. Fluid Networks recommended replacing the antiquated tape backup with their new BDR “Magic Box” solution. Fluids backup and recovery application streamlined and enhanced the replication performed by Picture Head. 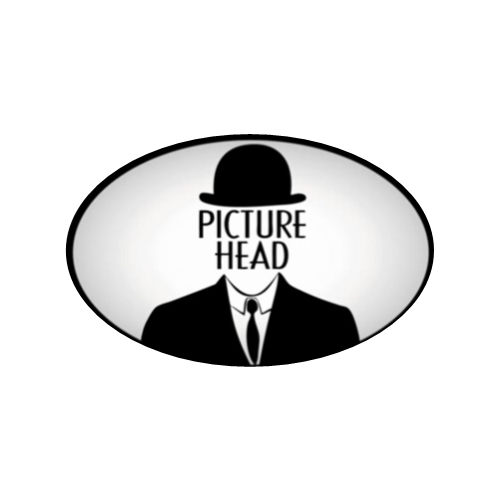 Improved network security, stability and performance which directly contributed to Picture Head’s ability to outbid competitors and not only win major motion picture contracts, but to also successfully deliver finished products ahead of schedule. The virtual server implementation brought with is a more reliable network eliminating risks of downtime and reducing the time consumed in maintenance and repairs. Eliminating the emergency and unscheduled system maintenance let the IT department focus their time and energy on business needs and expansion. Active Directory buildout provided centralized management of users and permissions, standardization throughout the network, easier access to shared network resources and improved security. Fluid Networks Magic Box meant having one centralized backup management solutions, eliminating the risk of human error, buying and changing tapes or security holes with offsite data storage. With backups automatically running, mounted and checked, there was no longer a risk of unknown failed backups. With on and off-site replication, virtual servers are ready to spin up and take over the production server should there be a failure, eliminating downtime and productivity loss. Central management and accountability of all VoIP telephones means that there is one company to call for everything and each site can work as one, can we say ‘Fluid’, organization. All said and done, systems were improved, procedures were implemented, support was enhanced, vulnerabilities were eliminated and ongoing savings increased. Their success stories confirm it.